The Winners of the first Cradle to Cradle Product Innovation Challenge were announced this weekend at the Institute’s Innovation Celebration in New York City. Organized by the Cradle to Cradle Products Innovation Institute and the Make It Right organization, the contest challenged sustainable product manufacturers to “rethink and retool” building materials in order to follow the full cycle of sustainable and affordable product design, manufacturing and consumption. Four of the ten finalists chosen earlier this year were selected to share $250,000 in cash prizes for thoughtful new products that truly embody the Cradle to Cradle message. Hit the jump for a look at this year’s winners! 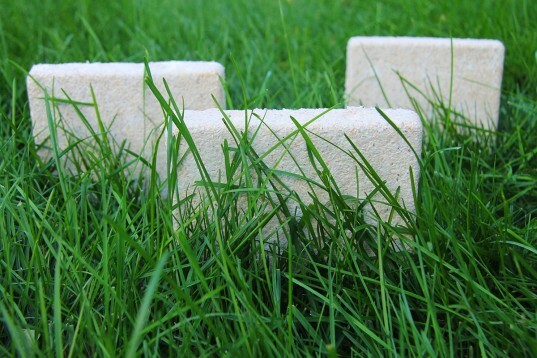 BioMASON’s biobrick might bring about the end of traditional brick manufacturing as we know it. 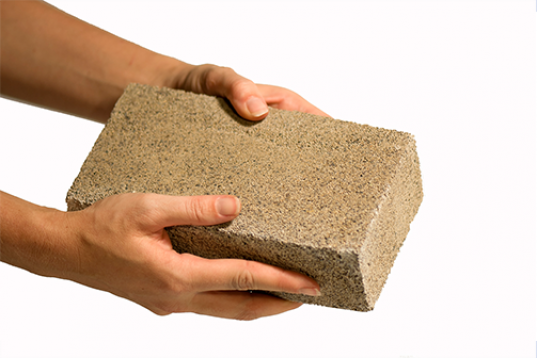 Biobrick’s production method uses bacteria to produce natural cement within an aggregate mix. All of the materials used in its production are globally abundant and can be extracted from various waste streams. Made in ambient temperatures, the cementation process takes less than five days to form and the resulting product is almost identical in terms of cost and quality of traditional masonry bricks. Looking to replace traditional (and sometimes hazardous) foam insulation, Ecovative’s mushroom insulation is a structurally rigid insulation made from natural products. The mushroom insulation is made from a combination of agricultural by-products and fungal mycelieum, a natural and self-assembling binder that gives the product its insulative properties. Ecovative’s mushroom insulation fully embodies the Cradle to Cradle sustainability model by growing quality, toxin-free insulation to be safely used in home and commercial construction. ECOR’s sustainable building panels are a practical solution for anyone looking for low-cost, full-cycle green building materials. 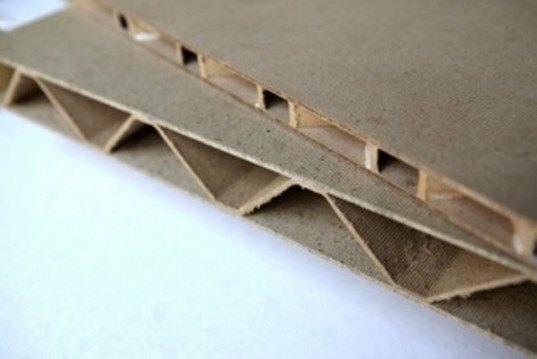 The panels are made from waste cellulose fiber, a sustainable material technology made from a ubiquitous raw material found worldwide. Additionally, the panels are lightweight, compact and designed for easy assembly. Domus Mineral Paints are interior paints made from all natural products. The paints are washable, toxin-free, free from asthmagens, hypoallergenic and permeable. 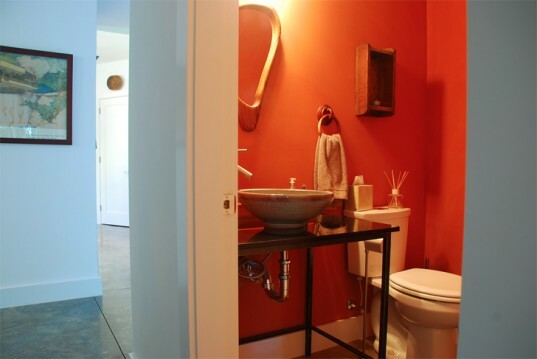 Additionally, the paint composition prohibits bacteria growth from mold and absorbs CO2. Easy application makes for ideal use in commercial or residential areas, providing a practical and safe option for creating healthy living and working environments. A big congratulations to all of the winners of the competition and to the Cradle to Cradle Institute, a true leader in the promotion of affordable green construction materials. The Winners of the first Cradle to Cradle Product Innovation Challenge were announced this weekend at the Institute’s Innovation Celebration in New York City. Organized by the Cradle to Cradle Products Innovation Institute and the Make It Right organization, the contest challenged sustainable product manufacturers to “rethink and retool” building materials in order to follow the full cycle of sustainable and affordable product design, manufacturing and consumption. Four of the ten finalists chosen earlier this year were selected to share $250,000 in cash prizes for thoughtful new products that truly embody the Cradle to Cradle message. Hit the jump for a look at this year's winners!